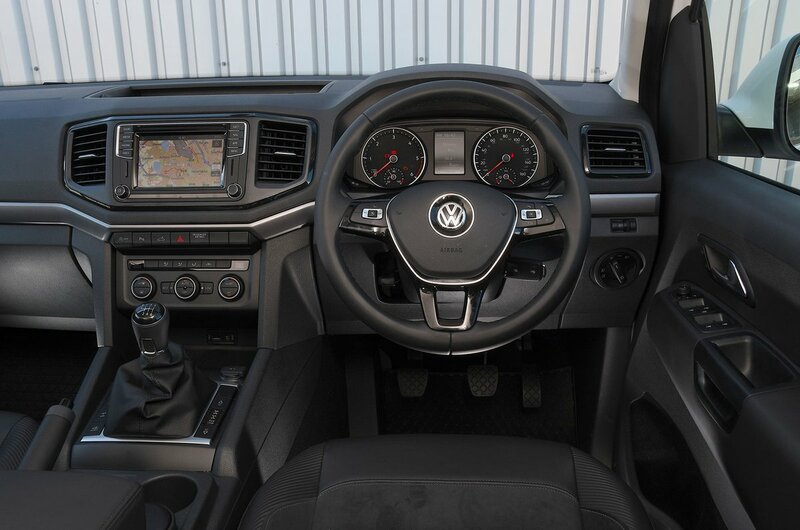 Volkswagen Amarok Interior, Sat Nav, Dashboard | What Car? 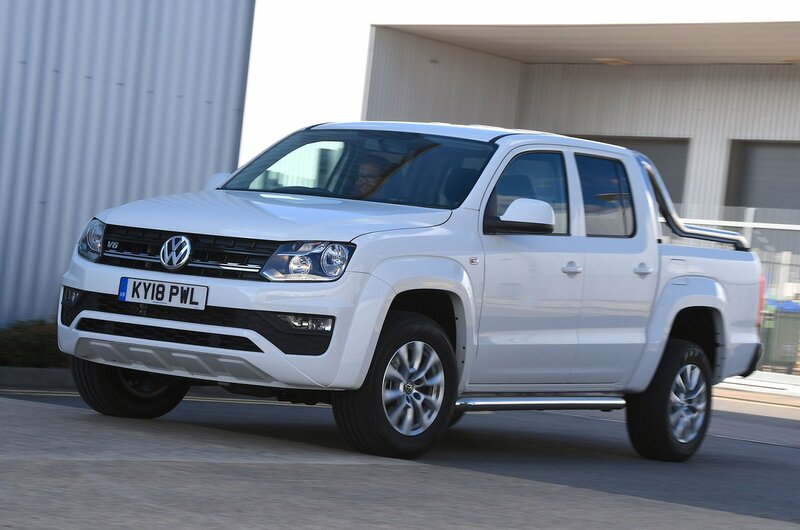 Inside, the Amarok is styled to look like some of VW's cars, but the Amarok trades flamboyance and panache for robustness and functionality. Pick-ups tend to lead hard lives, so it's not surprising that the interior is decked out with tough, wipe-clean plastics. There aren't many soft-touch plastics, but it certainly doesn't feel low-rent and it's all very well put together. It's a bit of a climb up into the driver's seat, but once you're in there's a decent range of seating and steering wheel adjustment to help you get comfortable. 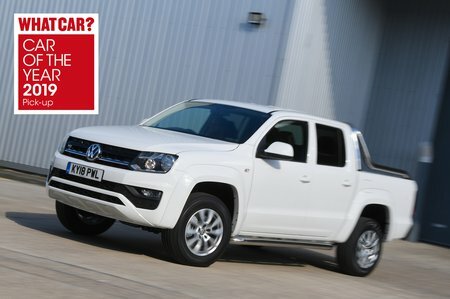 You probably won’t stay that way on long journeys, though, because the Amarok’s seats don’t offer much in the way of lower back support unless you spend extra on adjustable lumbar support. Visibility isn’t bad, but we’d recommend adding rear parking sensors if you're buying the entry-level Trendline trim. Entry-level Trendline models do, however, get a 6.3in touchscreen infotainment system with Bluetooth and a DAB radio. It's the best of the pick-up bunch, with helpful shortcut buttons and an easy layout.